Order your Spector Euro4LT Bass Guitar with Bag from AMS and enjoy 0% Interest Payment Plans, Free Shipping, Free Extended Warranty & 45 Day Money Back Guarantee. Expertly handcrafted, these instruments represent the true essence of Spector's legendary design. Spector’s iconic silhouette takes on a new life with the Euro4 LT. The European Alder body wings are now carefully weight-relieved before they are topped with highly figured North American Maple. The 3-piece Maple neck now features a 24 fret Ebony fingerboard and carefully tapered neck profile. 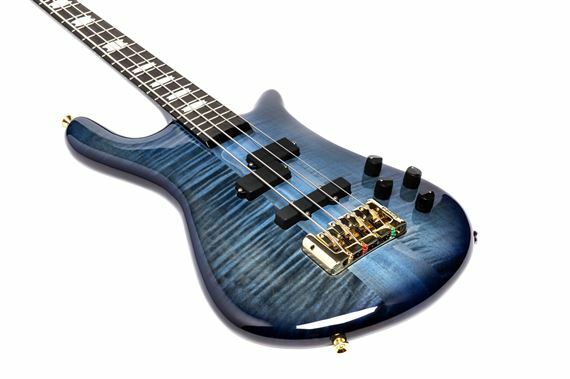 Euro LT basses also include premium, custom-wound pickups from Bartolini and a custom-voiced Darkglass active pre-amp. Together, they provide an articulate and versatile tonal palette, suitable for all players. Spector's Euro Series has established itself as true icon in the world of electric bass. 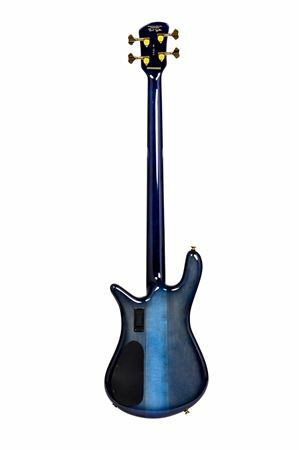 .Additionally, Euro LT models include Spector's professional-grade hardware, a variety of all-new high gloss finishes, and world-class craftsmanship.